Nigerian Singer Kiss Daniel has announced the end of his career with G-Worldwide record label after 3 years successful spell. Reports had it that Kiss Daniel have not been comfortable with strict rules imposed on him by the label. The Yeba crooner has however announced a new record label via his Instagram Account Bio. 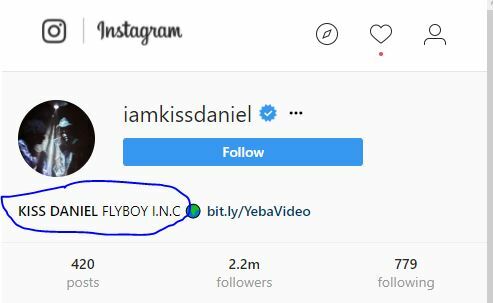 Meanwhile, it is not yet confirmed if FlyBoy Inc belongs to him.